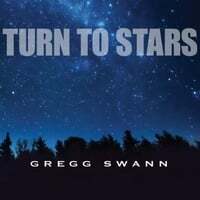 Gregg Swann-Turn to Stars. As I noted upon his passing from colon cancer in early 2011, not only was Gregg Swann an outstanding power part artist (his 2006 release placed at #11 on my initial year-end list) but he was a gentleman as well in his dealings with me when it came to reviewing his disc. After hearing of his death, I thought we'd never hear new material from him again, but thanks to demo recordings he made in his last year or two along with newly-recorded backing tracks from his band who funded the process through a Kickstarter campaign, we have a new Gregg Swann album. And although it's a bit short and a bit uneven as posthumous albums of this type are, it's still a fitting sendoff and a damn fine record. "Rain Dance" opens on a staccato guitar riff similar to Green Day's "Brain Stew" and starts off the disc in melodic rocking fashion while the midtempo "Stereo Down" recalls the excellent "The Truth Hurts' from his previous album. Elsewhere, "LA, CA" is a fittingly mellow number about Los Angeles that sports a memorable chorus, "Idlewild" features a haunting, slow-burning melody and "Today" makes a fitting epitaph as it sends the album off with a buoyant power pop tune. RIP Gregg. 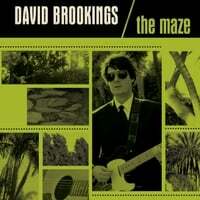 David Brookings-The Maze. After four years largely away from music (along with a move from Memphis to the San Francisco bay area), David Brookings has returned with sixth album and first since 2009's Glass Half Full. The latest features more of his easygoing melodic style, and takes a more personal look at life. The jangly "If I Didn't Make it Back" starts things off in classic Brookings mode and makes us glad he made it back, while the Beatlesque and ornate "Cora" (which even name-drops Gene Simmons) follows as the disc's real standout. The autobiographical "No Regrets" is another highlight, as Brookings looks back on key moments of his life, and while "The Dream is Over" seems like a title for a dirge or an elegy it's instead a rollicking number that shows off Brookings' guitar playing and melodic skill. "Heroin Donna" is another catchy Beatlesque track, and "I've Got No Game Now" is a lovely ballad about the fear of having to date again. It's great to have Brookings back.